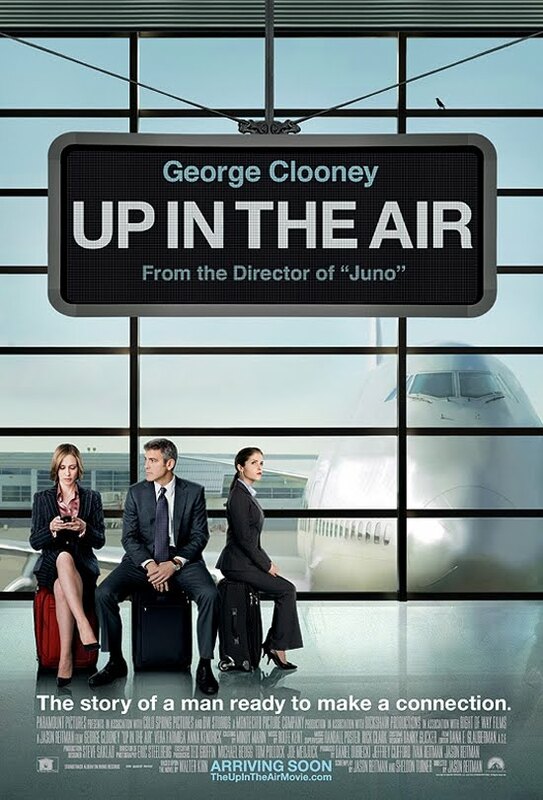 Up in the Air is quite possibly one of the best films to come out this year in New Zealand, but ultimately the best movie to come out last year. I don't care how great The Hurt Locker was, this should have won Oscar for Best Picture, or at least an Oscar. Upon rewatching it, for the third time in a week, I realised that Up in the Air has a rare quality that has seemed to be lost in the film industry of today: the ability to give people something to relate to. The movie was released just at the right time, when America was in an economic crisis and people were losing their jobs left right and center. Jason Reitman, the director, obviously saw an opportunity in this, and used real people to tell their stories of being fired in the current economic climate. These people thought they were part of a documentary on the matter, but they saw themselves in a fictional movie starring George Clooney. Some claim to fame, huh? It's hard to point out what makes Up in the Air so great. I can watch this movie over and over again and still fall in love with it. What I bring it all down to is the amazing performances from the Cloon and the two female leads: rising stars Vera Farmiga and Anna Kendrick. 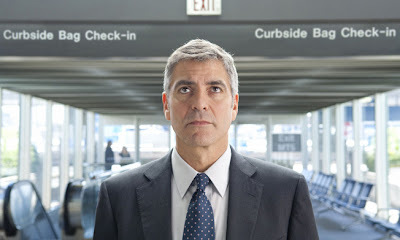 Firstly, George Clooney makes Ryan Bingham, who isn't a very pleasurable character, somehow likeable. On the surface, he is a very cold and mean person, which is pretty much a characteristic you need when being in the line of work he is in: firing people for bosses who can't do it themselves. But with the Cloon's charasmatic approacch to the character, he makes this Bingham easy to relate to, and by the end, you will really feel for him (I'm not going to spoil the end for you if you haven't seen it). Then there is Vera Farmiga, who has been a favourite of mine since her amazing support performance as Madolyn in The Departed. Alex Goran was her break through character, and I really hope that people start noticing what a fantastic actress she really is and GIVE HER AN OSCAR! (okay, I admit Mo'Nique deserved it more, but, you know...) I cannot explain how much I fell in love with Alex throughout the movie. She's just a really beautiful person, but a smartass, which is kinda cool. She was one of the biggest reasons I loved this movie. Lastly, there is Anna Kendrick. Who? Well, you unfortunately may remember her from the Twilight 'Saga', but you won't even know its the same person. Here she plays Natalie Keener, a young college grad who is set to change the world of coporate downsizing by webcam-firing people. I think that pretty much sums her character up. She's a modern girl who's ready to teach the Cloon a few lessons. Well, one I will always admire for its, um, pure comedy gold, is when Natalie breaks down because her boyfriend has dumped her. And also the one where they crash the AlphaTech party and Natalie chooses a fantastic nametag: Jennifer Chu. Alex: "He broke up with you by text message?" Ryan: "Wow, that's kinda like firing someone over the internet." This is one of those movies that was far better than it's book, which is actually the story of Ryan Bingham, who still wants his 10million Frequent Flyer miles, but is going on a sort of road trip with his disturbed younger sister Julie. The book was quite popular in its heyday, but once 9/11 happened everyone went off the idea of flying, and this book. Which makes me wonder, what would Ryan Bingham have done about that situation? I've probably said it, and I'll say it again, Up in the Air is by far one of the best movies of last year, and really should have won an Oscar, at least for it's terrific screenplay. But, in the year of Blue People and Bomb disposal in Iraq, did it ever really have a chance? This is Jason Reitman's best film, yes, even better than Juno, which will clearly stick around for a while.